Join us for the 2007 count on Saturday, July 7. 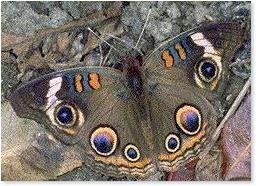 In 2006 twenty-four participants found 1,464 butterflies of 51 species. Three additional species were recorded during count week and Red-spotted Purple was recorded as a pupa. Common Ringlet was seen a week prior the count for the first local record. The Ojibway Prairie Complex received the majority of coverage. Sites visited by counters included Spring Garden Natural Area, Tallgrass Prairie Heritage Park, Ojibway Park, Ojibway Prairie Provincial Nature Reserve and several sites in LaSalle. The count was hosted by the Ojibway Nature Centre and The Friends of Ojibway Prairie sponsored a picnic lunch and refreshments. Butterfly numbers were about average although Monarch numbers were much improved (2.5 per party-hour vs.0.25 per party-hour last year). It was only the second count for Columbine Dusky Wing while Meadow Fritillary, Fiery Skipper and Black Dash were recorded for count week. 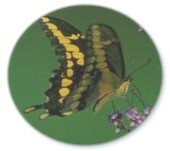 New high counts were set for Spicebush Swallowtail, American Copper, Hickory Hairstreak, Eastern Tailed Blue and Common Wood Nymph. 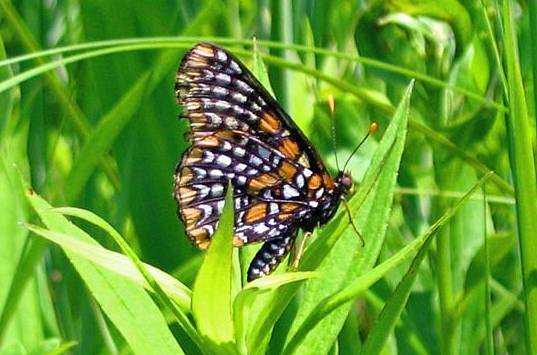 67 species (plus 2 count period) have been recorded over the past thirteen butterfly counts. Carter Beggs, Paul Beggs, Margaret Calder, Heather Anne Campbell, Paul Carter, Karen Cedar, Paul DesJardins, Kristen Fawdry, Steve Greidanus, Ruth Hart, Barbara Hayes, Bri-anna Jaksic, Brenda Kulon, Jeff Larson, Betty Learmouth, Kathy Lesperance, Blake Mann, Mary Montsch, Nancy Pancheshan, Paul Pratt, Juliet Renaud, Pauline Renaud, Elaine Sinnott, Ian Woodfield.